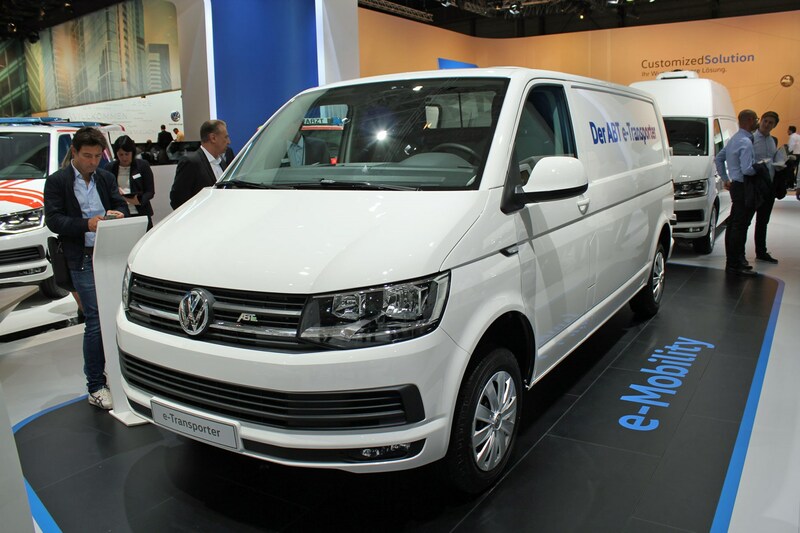 Volkswagen Commercial Vehicles has confirmed the VW e-Caddy electric van will go on sale in the UK in mid-2019. This makes the Caddy the first all-electric VW van to be sold with right-hand drive. The e-Caddy will be followed in early 2020 by the start of UK sales of the e-Transporter, the first all-electric version of the VW Transporter T6, which is set to rival the Mercedes-Benz eVito in the electric medium van sector. UK specifications, including official driving range and payload, for both models has also been revealed. Who builds the VW e-Caddy and e-Transporter? 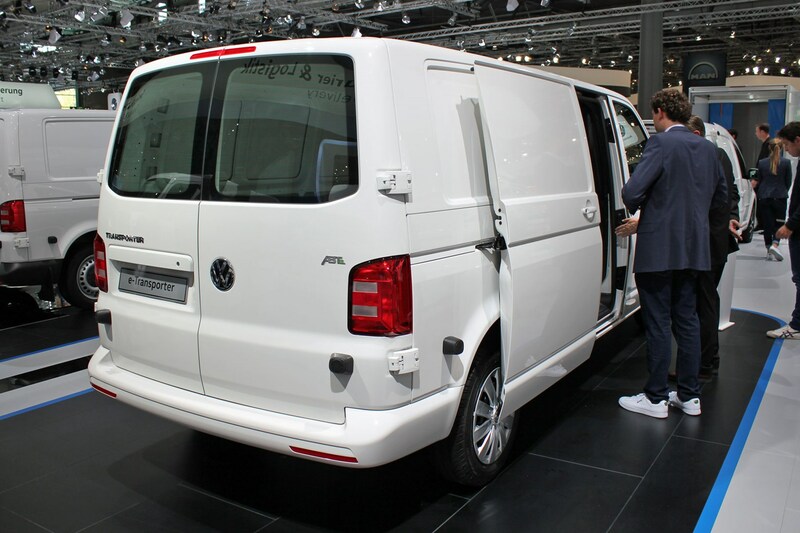 When and where were the VW e-Caddy and e-Transporter announced? 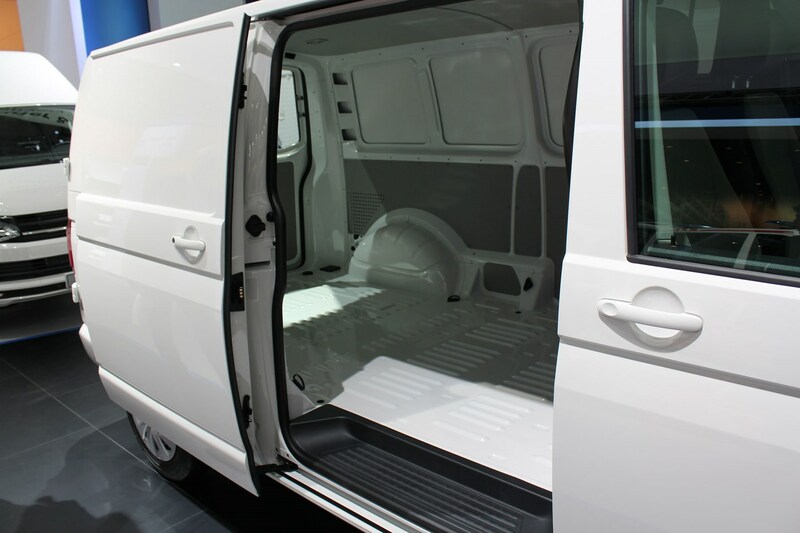 Volkswagen first revealed these two new electric vans at the 2018 IAA Commercial Vehicles show in September 2018. While not as exciting as the (also electric) ID Buzz Cargo concept that starred on VW's IAA stand, the electric Caddy and Transporter are much more relevant to more people right now. The e-Transporter and the e-Caddy are also natural extension of Volkswagen’s electric commercial vehicle range, which was kicked off in earnest by the e-Crafter when it began prototypre trials in 2018. The e-Crafter, however, is currently only available in left-hand drive and is presently sold out, which means we won't see a right-hand drive version of this large VW electric van until around 2021. 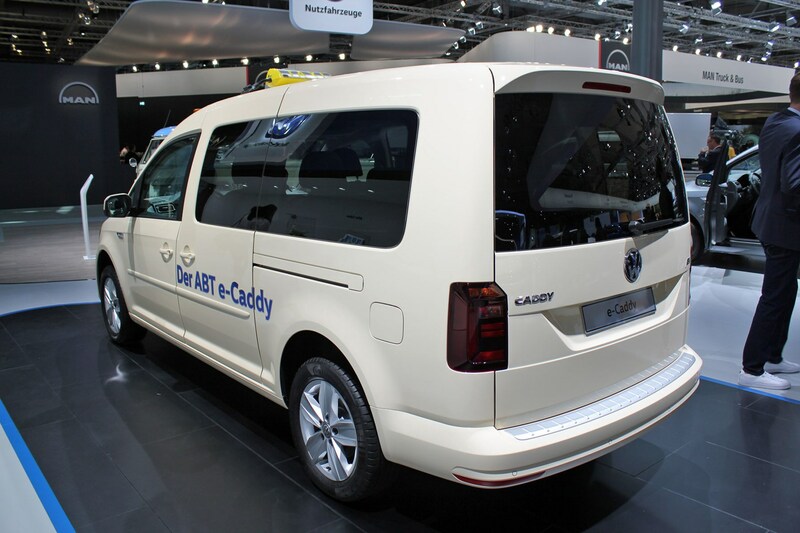 VWCV UK confirmed the mid-year arrival of the e-Caddy at a special press conference on 7 February 2019, where it also outlined the UK specifications of this and the e-Transporter. Are e-Transporter and e-Caddy proper VW electric vans? The e-Caddy and e-Transporter have come to life through slightly unusual means - rather than build the new e-vans itself, VW has outsourced the job to a partner firm called ABT. But this doesn't mean they're not proper VW vans. 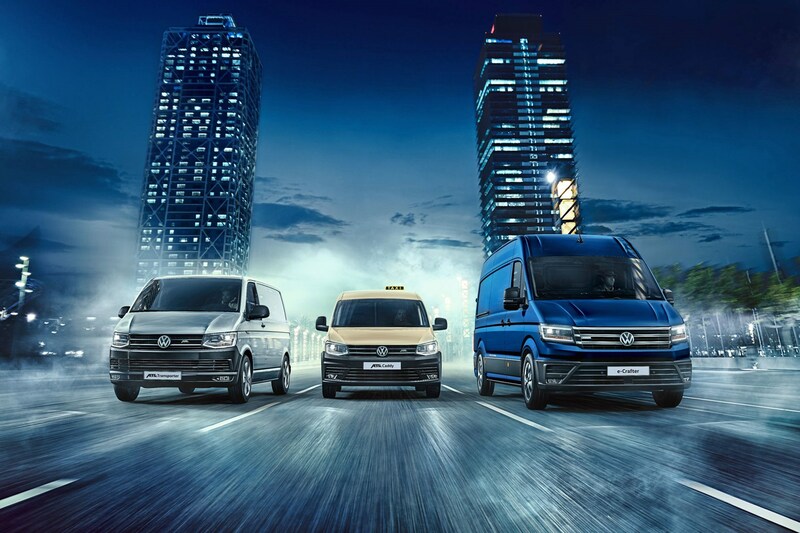 Both will be available direct from VW dealers, and were proudly displayed as two of the five world debuts Vollkswagen brough to the IAA CV show. So who or what is ABT, and what’s it got to do with VW’s new electric vans? You might have heard of ABT, but possibly not in a commercial vehicle context – as this German company is better known for running racing teams and offering tuning packages for passenger cars. In this capacity its association with the wider VW Group goes back decades. Among ABT’s most recent successes are race victories in the Formula E electric racing series, and it still runs the Audi Formula E team even now. It’s this race-proven electric vehicle expertise that actually prompted VW Commercial Vehicles to turn to ABT as a quick-fix solution to putting electric versions of the Transporter and Caddy into production. 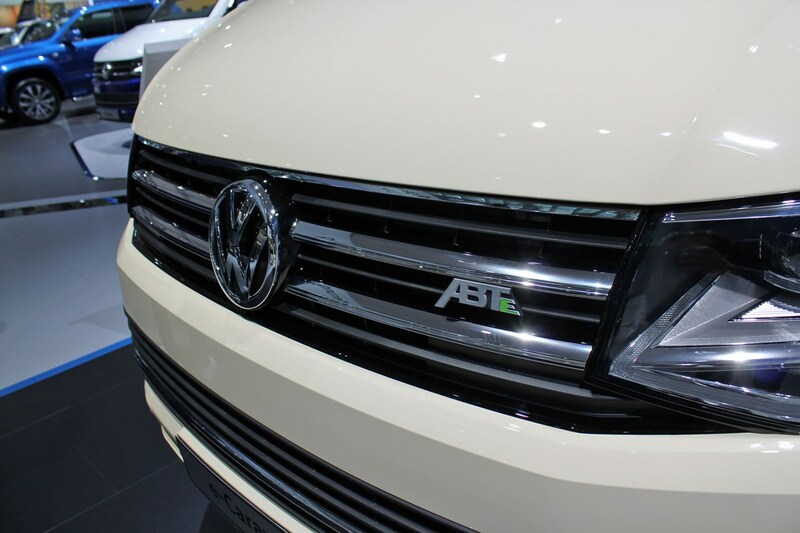 VW supplies complete vehicles to ABT, which then adapts them to electric power in its own factory – hence the ABTe badges on the back and the grille. As a result of this partnership, whereas the e-Crafter is limited to just one variant, the e-Caddy and e-Transporter will be available in both van and passenger carrying variants, and different body lengths are promised in time (though not initially for the UK, as it turns out - see below). 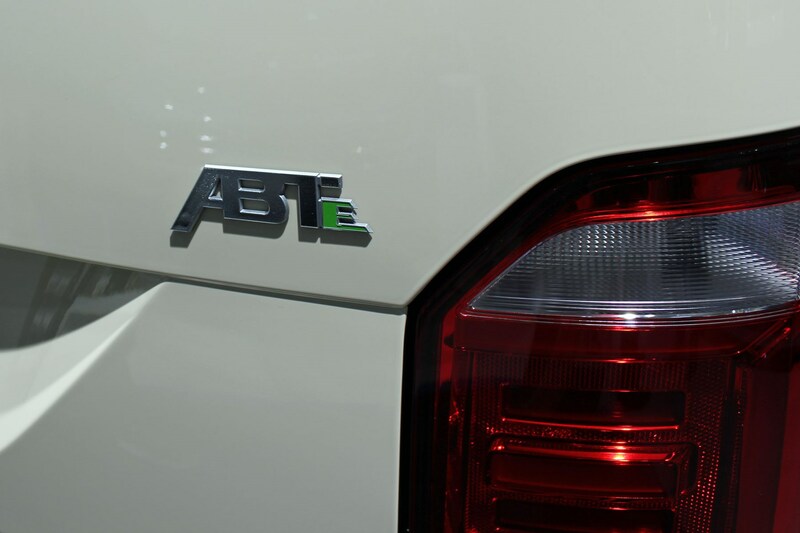 The area of ABT deals with electric vehicles is called ABT e-Line GmbH, while the motorsport and vehicle tuning arm is called ABT Sportsline GmbH. Both are part of the over-arching ABT Group. 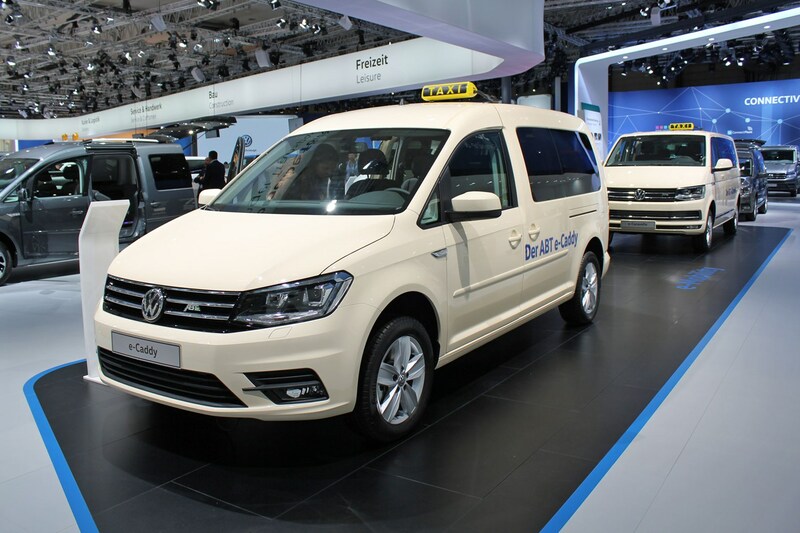 The VW e-Caddy will come to the UK in long-wheelbase (LWB) Caddy Maxi form only at first - as per this taxi variant on display at the 2018 IAA show. The electric Caddy is also offered with a single battery pack option. Rated at 38.8kWh, this delivers a claimed driving range of 160 miles - although that rating has been set using the NEDC testing regulations that are soon to be replaced by newer WLTP regulations, which are intended to better reflect real-world performance. This is further than the 137 miles claimed at the IAA show debut. But it still falls a little short of the claimed 170-mile driving range of the Renault Kangoo ZE and 174-mile claimed driving range of the Nissan e-NV200 - the two well-established small electric van rivals the new e-Caddy will have to challenge. The other critical aspect for any electric van is payload, and the e-Caddy Maxi is rated at 636kg; again, this is slightly less than the Kangoo ZE (650kg for both standard and Maxi versions) and the e-NV200 (an impressive 705kg). The e-Caddy is powered by a single electric motor, driving the front wheels. The motor produces 82kW (equivalent to 111hp) and 220Nm of instant torque - that's more power than either rival, but less muscle, which is more important when lugging loads. On the plus side, the current generation of Caddy only dates back to 2015, whereas the Kangoo was first launched in 2008 and the NV200 in 2009; the VW feels like a much higher-quality product as a rule, and comes with a more comprehensive range of safety equipment - including autonomous emergency braking as standard. There's no updated info about the charging time, so we believe this will be the same as it was previously - charging to 80% takes 49 minutes using a 40kW quick charger, while a full charge using a more modest 7.2kW source takes five hours 10 minutes. It wasn't clear at first whether the e-Transporter would be built in right-hand drive, but VW has now confirmed that it will be coming to the UK in early 2020. As with the Caddy, the electric Transporter will be long-wheelbase (LWB) only at first. 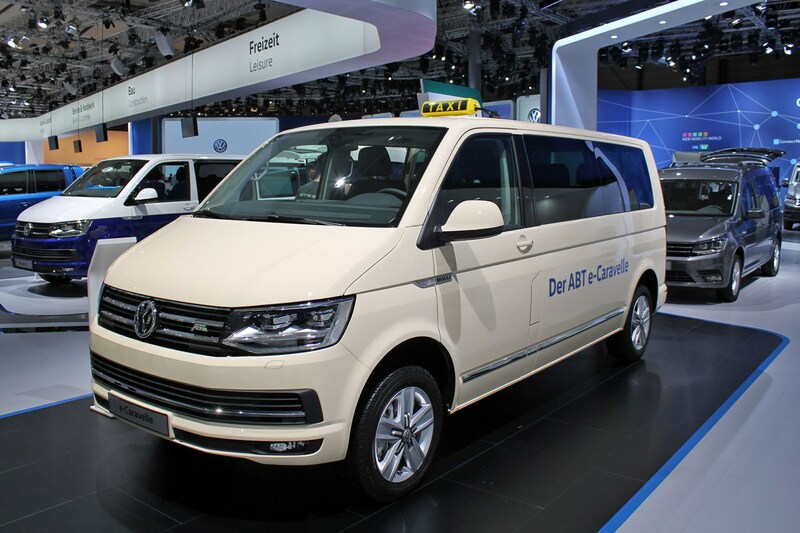 VW had a couple of such e-Transporters on display at the 2018 IAA show – one regular panel van and one e-Caravelle taxi. More iimportant than the bodylength, buyers will get a choice of one or two battery packs in the electric Transporter, allowing them to prioritise or driving range, as required. 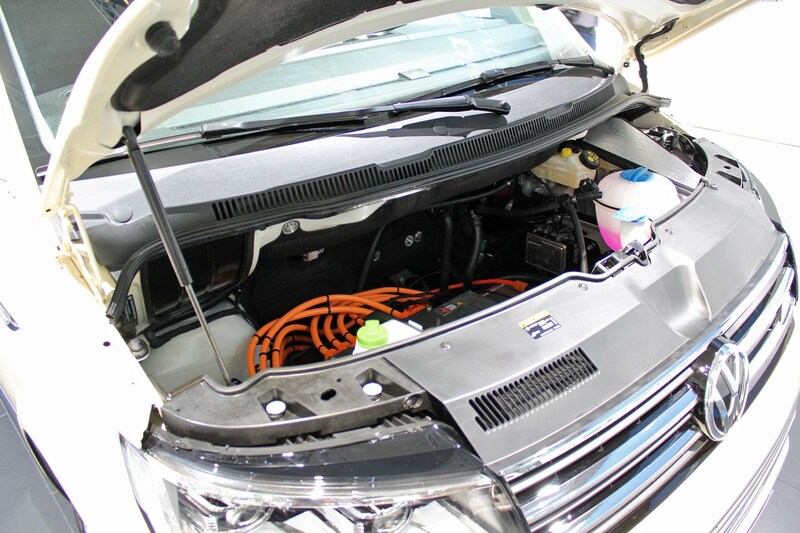 VW Commercial Vehicles UK has announced that the twin-battery (77.6kWh) version has a claimed driving range of 250 miles NEDC, which is very impressive. The single-battery (38.8kWh) variant claims 134 miles, up from the 129 miles quoted at the IAA. The rival Mercedes eVito, which we've already driven, was only rated to 93 miles, giving the e-Transporter a significant advantage here. 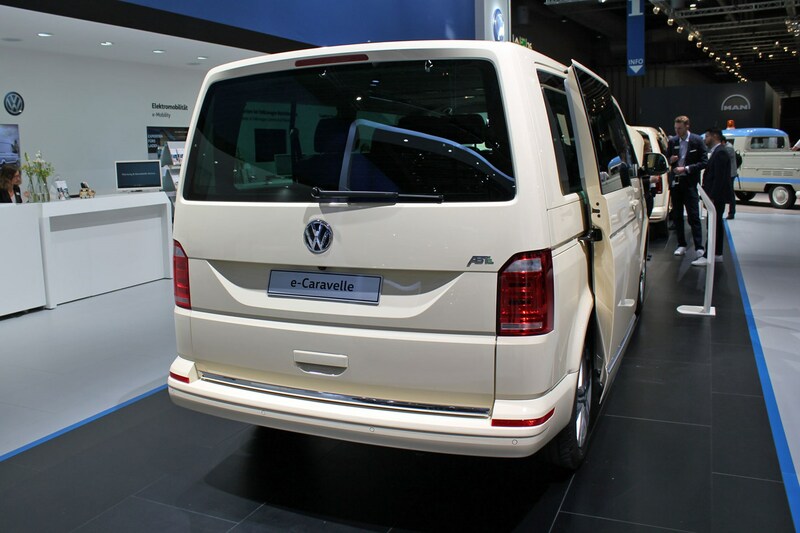 Maximum payload is 1,186kg for the single-battery e-Transporter, but just 695kg for the dual-battery alternative. Which allows us to calculate that each battery pack weighs around 491kg. Wow. The electric motor that drives the front wheels in e-Transporter is the same as that fitted in the e-Caddy, meaning you get an identical 82kW / 111hp and 220Nm of torque. Performance is identical, too, despite the Transporter's larger size. Charging two batteries takes twice as long. There are no UK pricing details for either VW electric van model just yet, but you can expect them to cost quite a bit more than the regular petrol and diesel models. Compensation for this comes with lower running costs - both in terms of the cost of electricity per mile and reducing servicing charges. We'll update this page with firm UK pricing on the e-Caddy once it's announced, which should be shortly ahead of the 2019 launch. Both of Volkswagen's new electric vans will be on display at the CV Show 2019, which takes place at the Birmingham NEC from 30 April to 2 May.